Andrea Gadek enjoys writing and dwelling deep to find valuable information in interviews. 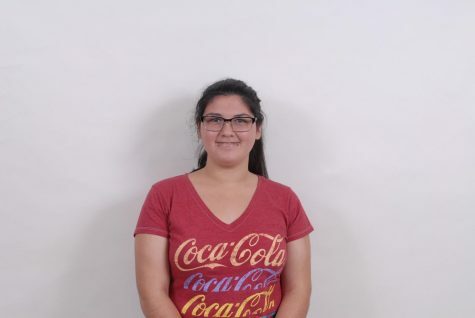 She signed up for journalism to not only learn about photography, but to write news articles and improve on her skills. She is passionate about art, music, writing, as well as journalism and media studies. She struggles with core classes, but works hard and is dedicated on improving. Most of her media comes from Snapchat, but she loves to read for hours at a time. Gadek stays at home when she's not in school, but she also goes out with her friends. She works for her parents' music website and she has experience with clarinets. She loves punk and classical music but despises country and refuses to listen to it. Along with her music interest, her favorite artist is Brandon Urie. If she had the chance, she would meet him over meeting Shane Dawson.